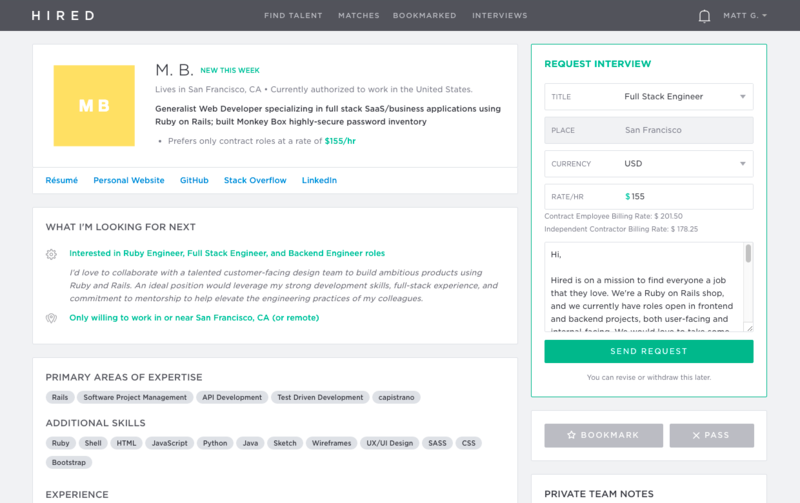 Today, we are announcing some significant improvements to the Hired platform aimed at streamlining the experience for candidates and companies. We are always working to make Hired better, to provide you with the best tailored experience through our platform. Our latest product updates will minimize the time, energy and effort necessary to connect candidates with the the right opportunities, and companies with the right people— quickly and seamlessly. On your resume or LinkedIn profile, you can only tell people and prospective employers what you’ve done in the past.  With Hired, you can now tell companies what you want to do in the future! As part of the updates to our platform, we have changed the onboarding process to empower you to describe your specific desired roles, current skills, and exact location preferences. This data will help our machine-learning algorithms make more intelligent matches — and make sure that the right companies are reaching out to you with the right opportunities. When it comes to filling open roles in your organization, we understand the importance of finding the right candidate at the right time. 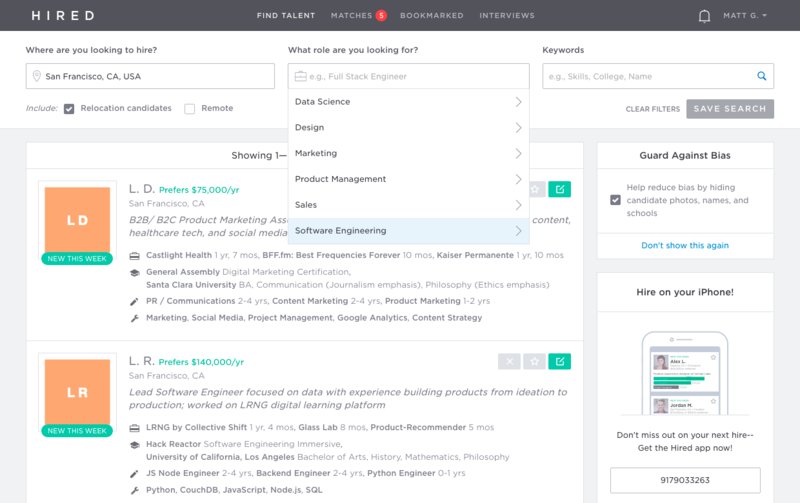 The Hired platform now allows you to enter more exact job titles, locations, and other specific search criteria for each of your open roles. 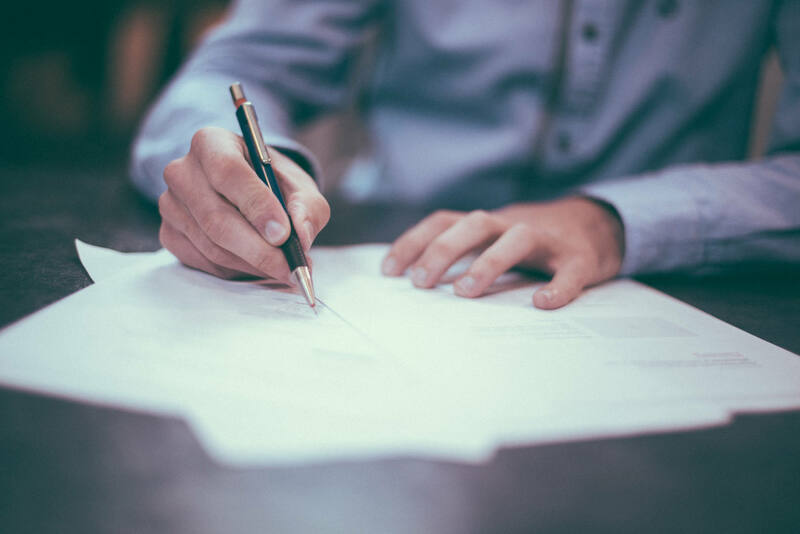 Knowing your exact requirements helps evolve our matching algorithms, and ensure you find the most relevant candidates for each of your priority roles. Tell us exactly what you’re looking for! When searching for candidates, you can now enter your exact requirements for each role, including location and keywords, in our new search fields. Search with confidence! 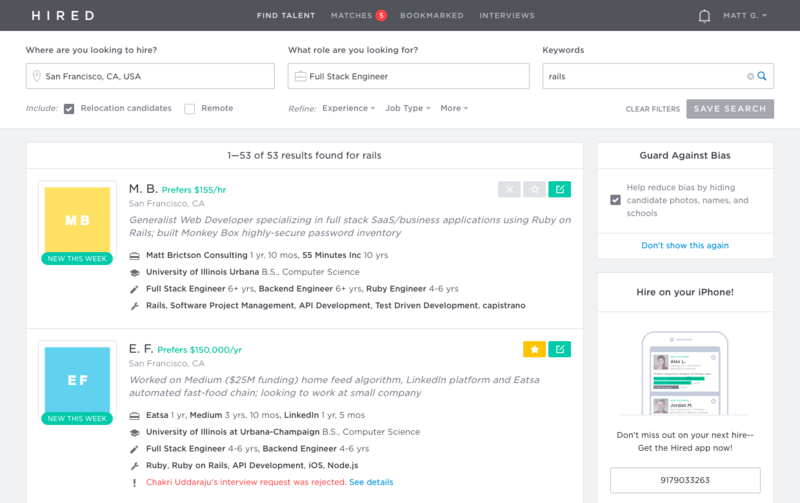 Our autosuggest functionality and new standardized language will help you find the most relevant terms for roles, skills and locations, so you find the most relevant candidates. Improve your weekly matches! By collecting more specific information about each of your open roles and using our suggested taxonomy, our data science and curation team have what they need to deliver more perfect matches. We will send you more relevant matches each week, saving you time and making finding the right candidates easier. Better understand candidates’ preferences! For candidates, we’ve ranked the number of preferred work locations on their profile to make it easier for hiring managers to know more about candidates who are in your area, as well as candidates who are serious about relocation. 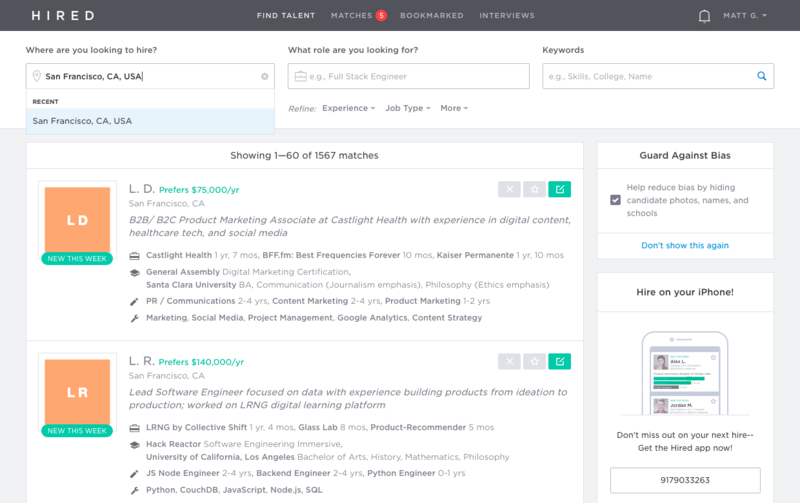 We also added primary areas of expertise and what candidates’ are looking for next to each profile, so you can see everything a candidate brings to the table. As always, we’ve made these changes to make the hiring process easier and faster, so that everyone can find a job they love. 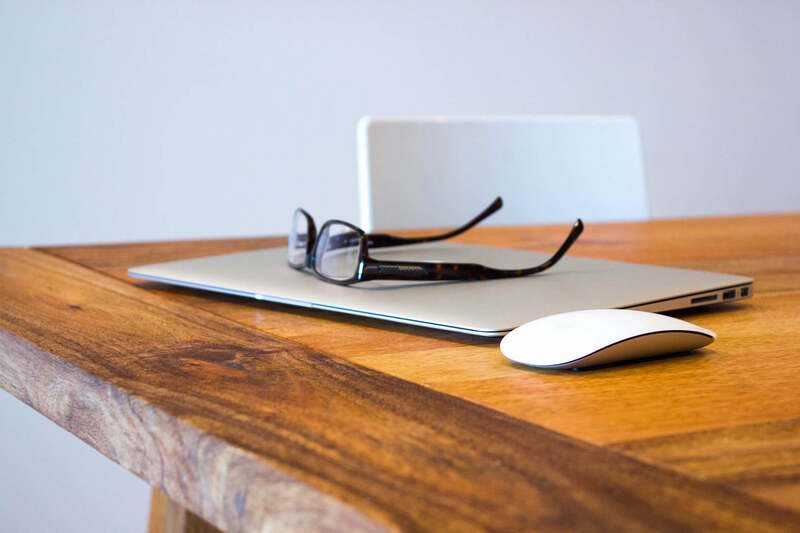 Check out the updates on Hired, or reach out to your Account Executive, or your Talent Advocate if you have further questions.